Dental Implants are an extremely tough and natural way to replace missing teeth. They are titanium rods, which are surgically fitted into the jawbone and used as an anchor for crowns and bridges. Implants improve the appearance and function of your dentition. However, they are not suitable for everyone and we will advise you of the procedures associated with implants. If you have lost a tooth - it’s worth considering the possibility of a dental implant to restore and improve your bite, jaw strength, appearance and feel . Dental implants are also the best way to preserve surrounding teeth which are often burdened by being used as support for bridges or partial dentures. 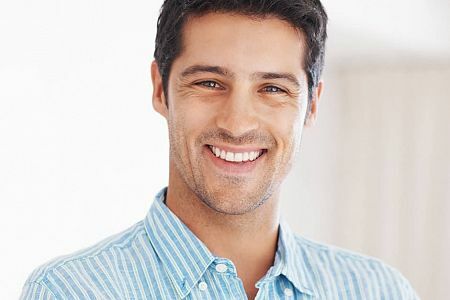 If you want a more permanent solution to dentures that improves your 'chew ability' and helps you avoid the 'sunken face' look often associated with missing teeth, implants could be for you. Does it take a long time to fit the implanted teeth? It usually takes three to six months for the surgical implant to heal before the artificial tooth or teeth can be mounted onto the implant. Due to the amount of precision surgery, laboratory technical work and the costs of materials, this procedure is fairly expensive but this is the closest you will ever come to re growing your natural teeth. Sometimes when teeth have been missing for years - the bone that used to support them has receded (thinned). In this case it’s advisable to restore the thickness by surgically adding sterile bone before the implants themselves are fitted. This bone is naturally incorporated by and fuses with your own bone. Dental Implants are far superior to removable dentures (plastic or metal), and are virtually undetectable. They will save you time and have long term health benefits compared with other treatments on offer (90% of modern implants last an absolute minimum of 15 years). Implant patients need to be in good general health, because of the surgery needed. Some diseases, such as diabetes, osteoporosis or chronic sinus problems, could interfere with healing and make implants more likely to fail. You should tell your dentist about any existing conditions you have that might effect your suitability for dental implants. I have experience working with dental implants, cosmetic dermal fillers, cosmetic prosthodontic, restorations such as porcelain veneers, Emax crowns and 2-3 unit bridges, Zirconia prosthesis, chrome dentures, short term orthodontics and many more. Currently I am doing Diploma in Implant Dentistry with FGDP RCS England. Also Level 7 certificate in facial aesthetics with Harley Academy. 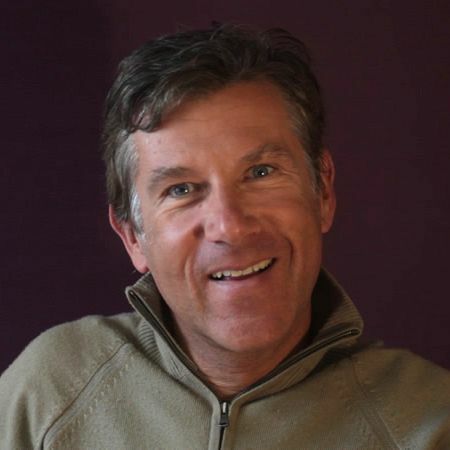 Etienne has a Postgraduate Diploma in Implantology from the University of Paris Medical School. His patients are able to benefit from his extensive experience he has in all fields of dentistry and in particular placing implants. 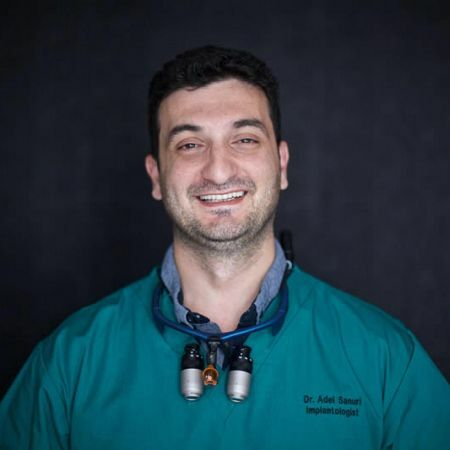 As a Prosthodontist Specialist Wassim provides simple and complex prosthodontic treatment including full mouth reconstruction, cosmetic dentistry and removable prostheses and has a special interest on Oral Surgery. 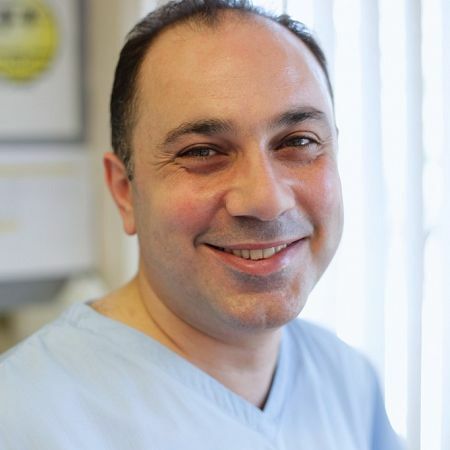 Wassim is a talented and experienced surgeon whose enthusiasm for and expertise in fitting the highest quality titanium dental implants has transformed the comfort and confidence of numerous patients at West Malling. We offer you the latest implants that are at the forefront of dental implant technology. Bone is exposed in the jaw where the tooth is missing. Then a hole is drilled and the metal post is inserted into the bone. The gum is then stitched over the post and is left to heal, until the bone has grown around the post, making it secure. You will then have to wait (approximately) 3 months for a lower jaw implant and 6 months for an upper jaw implant. Sometimes the implants may be stable enough after ten weeks. If you are having complete dentures, then these can be worn throughout the healing period once they have been modified after the surgery. You will then require a second operation to replace the missing teeth. The replacement teeth might be a single crown or in a group, possible as a bridge, attached to the neighbouring natural teeth. There are usually three kinds of dental implants available. A single tooth, an implant-supported bridge or implant-supported dentures. For the three procedures the treatment will vary accordingly. For more information call the practice or book a consulation. Your appearance will improve because dental implants becomes a permanent fixture in your mouth. 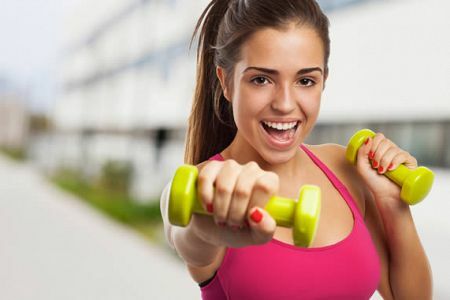 Your jawbone with become stronger and you will not have the sunken jaw effect that false teeth create. If you previously wore dentures you will notice that your speech improves without the slip factor that dentures create. Your mouth will generally feel more comfortable and this will in turn make you more confident in your smile. Your long-term Oral Health will improve and your daily oral hygiene will become less complicated. Dental implants replace lost teeth without needing to damage or stress the adjacent teeth. The treatmant process for dental implants takes several visits over a period of 3 to 6 months. After the dental implant procedure we prescribe effective pain killers to treat any mild soreness. 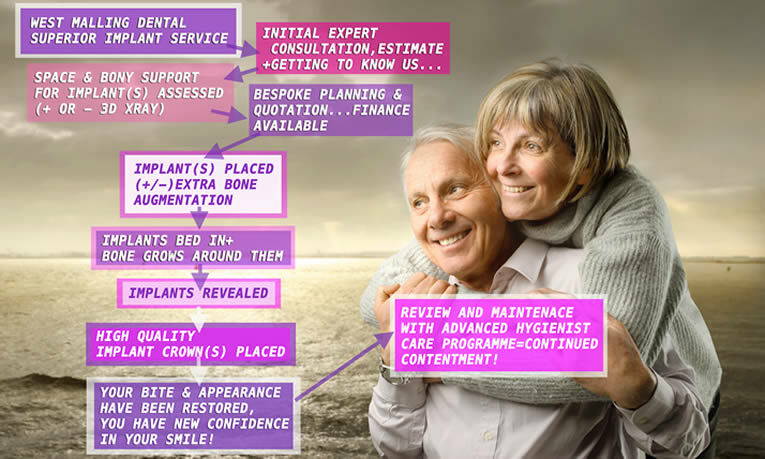 With the experience of placing hundreds of implants for well over 20years, the vast majority of our Dental Implants last for a minimum of 15 years and indeed we confidently expect most will last throughout your lifetime. The success rate may depend upon where in the jaw they are fitted but generally they have an excellent success rate of between 93 to 98%. Yes, please enquire at the surgery. Yes we welcome potential Dental Implant clients from both the Kings Hill, West Malling, Leybourne & surrounding area (Maidstone,Tonbridge,Sevenoaks,Rochester,Gillingham etc.) and are delighted to provide free parking for dental implant patients that come from near and far! Just call us and we'll be happy to arrange for the referral without charge. If you have lost a tooth- a Dental Implant is the most conservative and durable way of replacing the loss. An implant normally lasts considerably longer than either a bridge or denture feels and functions almost exactly like a normal tooth. If you have a denture that covers your palate- placing implants and fitting a special denture that locks firmly onto these- enabling your new denture to be considerably smaller (not covering nearly so many taste buds). So a Dental Implant restores bite and taste and most importantly it renews your confidence in your Teeth and Smile! Yes! For many of our patients this is the ideal way to make their Dream Smile Makeover affordable or to get back that natural tooth and bite feeling! We offer 0% finance over 6 or 12 months and 9.9% Apr over 18 and 24 months...so a single implant including special implant crown is from only £�78.05p/m over 24months 9.9% Apr! Unfortunately not! The fitting of Dental Implants is a highly skilled procedure requiring a surgically sterile environment and of course the relatively expensive pure titanium substitute root. They are however usually imperceptible from your old natural tooth and very long lasting.We also welcome Dental Implant referrals from NHS dental practices? Apart from being cosmetically unappealing and making your chew less efficient, another complication that can arise from missing teeth is bone loss in the part of the jaw that the tooth was extracted. If left for a prolonged period of time, a bone graft maybe required before the implant can be fitted. Many patients are not suitable for dental implant surgery because of bone loss surrounding the missing teeth cause by the lack of root stimulation. Bone grafting is a way of reintroducing missing bone and stimulating bone growth of the effected area so that the implant will be properly secured after surgery. This will guarantee that your implant lasts longer and also improves esthetic appearance. 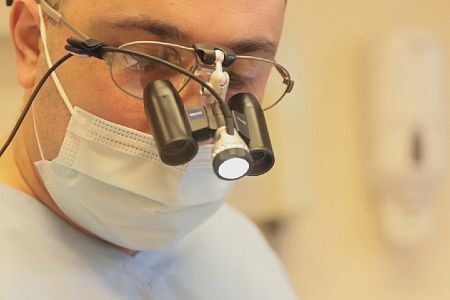 At West Malling Dental & Implant Centre, we pride ourselves in having some of the most forward thinking, caring and high quality Dental Implant Service Kent has to offer. Please fill in the form or call us on 01732 842 439 to request your Dental Implant Consultation!